I suppose my cynicism concerning the scarcity of standard television programs worth watching is linked directly to my membership in the Baby Boomer Generation. And the early part of the generation at that! This article is not about the quality of modern television or lack thereof; but after a fashion, it does serve as a lead-in to this week’s topic. Plus, it affords the opportunity to briefly air my consternation over much of television that is anti-family, anti-morality, and anti-Judaic/Christian ideals. Programs that disdain and degrade Biblical values upon which this great nation was built. Fortunately, for many of us Baby Boomers (and others), there is some alternative-viewing relief. It comes in the form of an increasing number of television stations producing regular plus special programs dedicated to documentaries of nature, arts and sciences, and history; despite their (sometimes) anti-Creation evolutionary emphasis. Networks such as: PBS, Discovery Channel, History Channel, Travel Channel, National Geographic Channel, American Heroes Channel (formerly Military Channel), and probably my favorite—The Smithsonian Channel. And my co-favorite: The Golf Channel (only half-kidding). Hey, golf is played on beautiful courses creatively carved out of nature, abounding in human interest stories played out with dramatic strategy and skill … producing historical memories. So there! If you watch some of these networks, you’ve also seen a relatively new phenomenon that began to catch on a decade ago or so—Docudrama. Sort of a combination of real history and virtual reality. I’m not a big fan of this genre, because most of the dramatic enactments are either of low quality or too liberally “fill in the blanks” of history. However, the producers know that many viewers want to mix their history with live action. Just my opinion, but the best programs come with a well-written and narrated script alongside live interviews and still photography or actual film footage if available. There are a few quality docudrama exceptions to the rule, e.g. the series, Air Disasters on the Smithsonian Channel. Another exception is an eight-part series of one-hour Smithsonian Channel programs entitled: Eight Days That Made Rome. 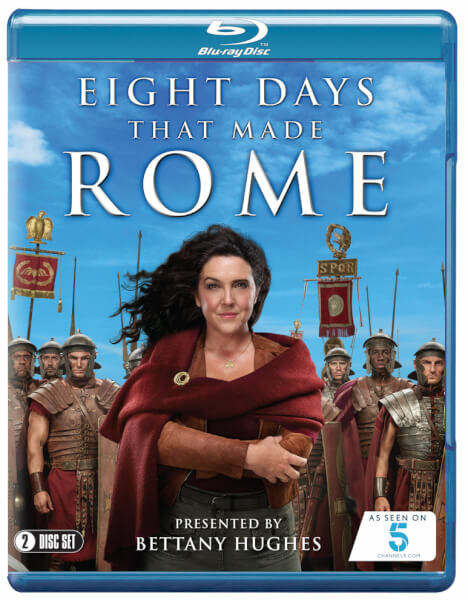 Skillfully narrated by writer/historian Bettany Hughes, she also conducts interviews with other historians; and there are dramatic scenes consisting of actors depicting (mostly Roman Empire) characters. The eight days are (actually) eight significant people/events that contributed to the formation, fanfare, and fate of the Roman Empire. The series originally aired on the United Kingdom Channel 5 in October 2017. Then rebroadcast at least twice beginning last month (March) and into this month, April (2019). My opinion—based on much reading about the Roman Empire: the episodes were historically as or more accurate than most that I’ve seen. With, as indicated, my personal preference that the enactments would have been reduced in favor of more historical facts, commentary, or interviews. Still, overall, the programs were interesting, and informative. With the obvious qualification that all that the Roman Empire was made of was much more than just these eight milestones; they, nevertheless, are noteworthy. I’ve seen the entirety of some episodes and parts of others. Part Six of this series contributed to the subject selection of this week’s Eye of Prophecy article … specifically, Nero’s death. More specifically, the program explained exactly how Nero died; as opposed to most historical accounts that omit the final details including the actual cause of his death. Whereas many historians provide a consistent record of the geopolitical events leading to Nero’s demise, only a handful relay the final moments of what took place. Consequently, many classify Nero’s death as a suicide. It was not. Nero had decided that killing himself was more desirable than being captured by the legions who were carrying out the Roman Senate’s order to torture him before he was executed, but he was too much of a coward to finish the job. Although he stabbed himself in or near his neck, it was only a weak half-hearted attempt. It’s clear that he had time to do himself in (by falling on his sword), but he chose not to. As depraved as he was, he even ordered one of his servants to kill himself in order that Nero could see how it’s done! Shortly before the Roman legions stormed into the villa where he was hiding, Nero’s servant Epaphroditos (out of loyalty or simply for humanitarian reasons to prevent his emperor from being tortured) struck Nero with a sword causing the fatal wounds. The fact that this Part Six program included the servant’s slaying of Nero and even named the servant, caught my attention that much more, as I have written about this in Out of the Abyss and a couple of prior Eye of Prophecy articles. In Scripture there are eleven references to the man called Antichrist, with all but one of these locations calling him by one or more of his other designations. Ten of these are prominent passages that portray the past, present, and/or future tense of Antichrist. Plus, one somewhat obscure passage that is the focus of today’s article. One, however, that provides even more conclusive evidence—when like the others it is matched to 1st century events—that Nero was and will return as the Antichrist. We’ll get to that captivating scene in Zechariah, shortly. Daniel Chapter 7: First mention of Antichrist in Scripture … described as a little horn and king. The emphasis is his sudden appearance at the outset of the Tribulation, different from the ten kings who will yield their kingdoms to him, three of them by force. Plus, his blasphemy and defiance of God himself and oppression (much like his prototype predecessor Antiochus IV) of the Jews. Thus, this passage is still future even to us, as it applies exclusively to the Tribulation period. For example: see Eye of Prophecy article, Sudden Appearance of Antichrist … Why So Different? (Posted 1-21-17). Daniel Chapter 9: Concentration is on the ruler whose armies would destroy Jerusalem and the Temple, which occurred in A.D. 70; after Nero personally dispatched several Roman Legions under Generals Vespasian and Titus to crush the Jewish rebellion that began in A.D. 66. Then a subsequent 7-year treaty made by this same ruler that he would break half-way through, from which we derive the 7-year Tribulation period. Refer to Eye of Prophecy articles: The Most Panoramic Prophecy in the Bible, Part I & II (Published January 2018). Daniel Chapter 11: Emphasis is on Antichrist’s exploits during the final phase of the Great Tribulation (also like his treacherous predecessor Antiochus IV) that leads to invasion of Israel and ends with Armageddon. See articles: Armageddon & Messiah’s Return … An Amazing Sequence of Events (2-3-18). Also, last week’s post: Intriguing Comparisons Between Antiochus IV & Antichrist (Nero). II Thessalonians 2: This fascinating passage from the Apostle Paul contains both the present tense existence of the man of lawlessness and the future things he would do during the Tribulation. Paul explains that the secrecy of the lawlessness and the man of that lawlessness was currently being restrained (at that point in time, i.e. A.D. 51-52). Then the future desecration of the Temple by this man. 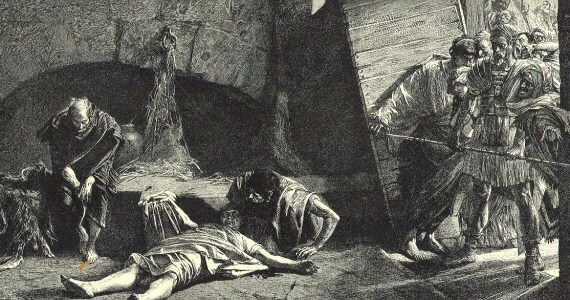 However, Paul wasn’t privy to the fact that this desecration would involve the 3rd (yet unbuilt) Jewish Temple or that the man of lawlessness would (first need to) reappear from the Abyss to resume his reign of terror as the beast-king later identified through encryption by John in the book of Revelation. Another often overlooked but equally astonishing fact in this chapter is that Jesus himself will kill the man of lawlessness (Verse 8). Just as several people throughout Scripture were “struck down” by the Lord; so, too, was Nero as the man of lawlessness. To then (by default understanding) be revived and banished to the Abyss awaiting God’s appointed time for his release and return to earth. See article: Does the Holy Spirit Restrain (the man of) Lawlessness? (3-4-17). Revelation 11: A passing reference to the Antichrist beast; however, one that first tells us the beast will come, “up out of the bottomless pit” and will eventually kill the two mighty prophets who will perform powerful miracles during their 3 ½-year testimony for the Lord (Revelation 11:7). Refer to: Soon Comes the Antichrist … Straight from the Abyss Part I & II (August 2016). Also: Moses & Elijah vs. Antichrist & the False Prophet (2-10-18). Revelation 13: Probably the most well-known passage on the Antichrist, if for no other reason than the infamous number of the beast. Ascertaining of which, however, is presented as a challenge to the reader: “Wisdom is needed here. 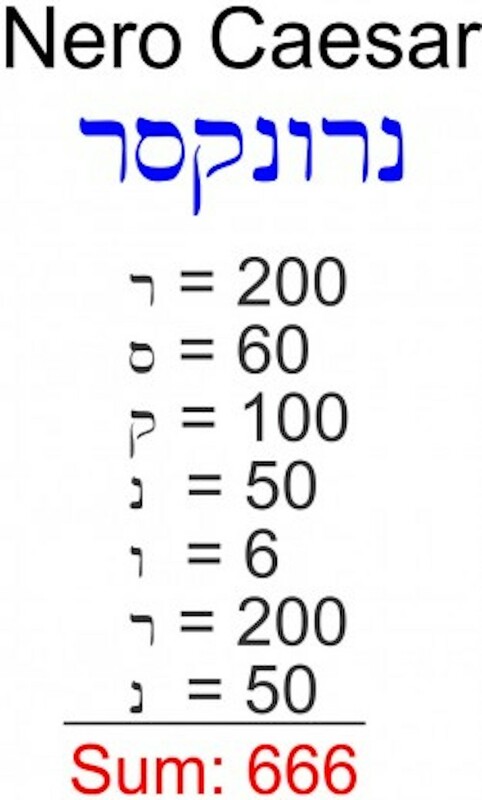 Let the one with understanding solve the meaning of the number of the beast, for it is the number of a man. His number is 666” (Verse 18). Through the application of Hebrew Gematria, Six Hundred, sixty-six matches Nero Caesar. There are several Eye of Prophecy articles that include the number of the beast, but I’ll refer you to the first one, entitled: The Number of the Beast (Posted 9-28-13). Revelation Chapter 13 also contains the amazing fact that the beast appears at the outset of the Tribulation having recovered from a deadly wound … the same thing as saying that the man has returned from the dead. Which is exactly what John then tells us. Three times the chapter repeats the fact that the healed wounds of the beast seen by John had been fatal, the first two times in verses 3 & 12. Again, John unambiguously states that the beast had been fatally wounded but “…then came back to life” (Verse 14). Chapter 13 also contains the first reference to the False Prophet. Revelation 16: A brief reference to Satan, Antichrist, and the False Prophet rousing the rulers of the world, including Antichrist’ enemies (kings of the east), “…for battle against the Lord on that great judgment day of God the Almighty…. And the demonic spirits gathered all the rulers and their armies to a place with the Hebrew name Armageddon” (Verses 14 & 16). Soon, thereafter, as an immediate prelude to Armageddon, we read of the Lord’s awesome final judgment of the world … the 7th bowl judgment (Verses 17-21). You might want to read: Stunning Catastrophes of the Tribulation / Their Timing and Purpose (11-14-17). Revelation 17: A positively pivotal chapter (particularly verses 7-11) that provides vital biographical information about the beast. Especially, the stunning disclosure (to reinforce that the beast had come back to life as found in Chapter 13) that the beast would reappear from the Abyss … rising from the sea as stated in Revelation 13:1. The first thing that the angel said after John had seen his second vision of the beast (and first of the woman): “I will tell you the mystery of this woman and of the beast with seven heads and ten horns on which she sits. The beast you saw was once alive but isn’t now. And yet he will soon (at any time) come up out of the bottomless pit…” (Verses 7-8a, emphasis added). This astounding announcement has been overlooked or dismissed by so many Bible scholars (including me at one time). It makes all the difference as to whether the Antichrist will be a modern-day born man or one that returns from the 1st century. In addition to the three-time reference to the beast that had been killed then came back to life as found in Chapter 13, Chapter 17 twice tells us the same thing. We’ve already read the first reference in Verse 8. The second citation is found in verse 11, beginning with: “The scarlet beast that was, but is no longer…” Five distinct references to demonstrate convincingly that when the Antichrist appears on the scene at the outset of the Tribulation, the fatal wound will have been healed, at which the entire world will marvel (Revelation 13:3-4). With the meaning expanded in Revelation 17 to emphasize that the Antichrist beast had already lived and died (in the first century). That those left behind at the Rapture, “…will be amazed at the reappearance of this beast who had died” (Revelation 17:8). Then in verses 9-11, the angel gives more succinct clues as to the geopolitical identity of the beast to corroborate Revelation 13, preceded by the same kind of challenge: “This calls for a mind with understanding…” (Verse 9). The beast was one of the seven kings (Roman emperors); more specifically one of the five who had already died, because the angel told John that the beast had lived and died before John’s visions of the beast. Whereas the description of the Antichrist (reappearance) in Revelations 11, 13, & 16 are (still) future tense … Tribulation, Chapter 17 is future, present, and PAST tense. The past tense beast/king (a vision of which John saw in the present tense—on a Sunday from the Isle of Patmos during the reign of the current Caesar) would become future tense upon his reappearance from the Abyss. See Eye of Prophecy article: Has Antichrist Already Died … How, When, Why? (4-28-18). 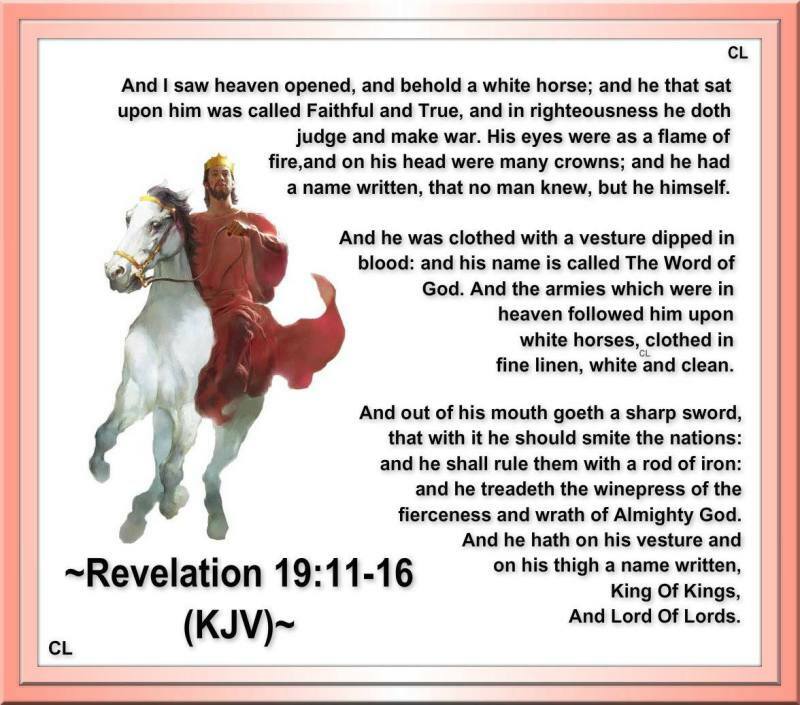 Revelation 19: Final reference to the Antichrist (and False Prophet) in Revelation describing Jesus’s magnificent return and crushing defeat of these two diabolical men and entire armies (at Armageddon). With their final fate that of being thrown into the Lake of Fire (Verse 20). “What sorrow awaits this worthless shepherd who abandons the flock! The sword will cut his arm and pierce his right eye. His arm will become useless, and his right eye completely blind” (Zachariah 11:17). This lesser-known allusion to the Antichrist, called the worthless shepherd, is nonetheless significant. It describes in more detail the wound(s) that, according to the subsequent disclosure in Revelation 13, would kill the beast (while he was still the man of lawlessness as characterized by Paul). When the world first sees the beast, who had just risen from the (abyssal) sea (Revelation 13:1), they will marvel at this miracle and give allegiance and worship to the beast. What is that miracle? As presented in the same verse: “but the fatal wound was healed!” (Revelation 13:3). The natural and even logical assumption by virtually all students of Biblical prophecy is that the Antichrist will be a contemporary man (some say he’s alive today on earth) when the Tribulation begins. However, nearly all end-times events are supernatural and extraordinary, defying all that is considered natural or ordinary. Including the extraordinarily clear Biblical evidence that the Antichrist is a man who had already lived and died even before John saw him in the first century (symbolized as a beast). That he would return from the Abyss to the utter astonishment of a world already dumbfounded by the spectacular event of the Rapture. So, too, is the prevailing presumption that the (modern-day) Antichrist will be killed during the Tribulation—most scholars say at the mid-point. The succession of John’s vision of the beast in Revelation 13 indisputably shows that he (as will those left behind at the Rapture) first saw the beast and his fatal (but healed) wound as soon as the beast appeared from the sea. There is no direct statement nor inference that the beast was or would be killed during the Tribulation. Consequently, this is as much of a moot point to try to defend as the (natural but erroneous) supposition that the Antichrist will be born in the generation of the Rapture and Tribulation. Why? Because in John’s second vision of the beast, he irrefutably confirms that the beast had already lived and died BEFORE John saw the man in the form of a beast. Immediately after John sees the beast rise out of the sea, he states: “I saw that one of the heads of the beast seemed wounded beyond recovery—but the fatal wound was healed!” (Revelation 13:3, emphasis added even though the exclamation point is in the text). *Note: As indicated in a few prior articles: The seven heads and ten horns of the beast in John’s first vision are the same seven heads and ten horns described in the second vision in Revelation 17. The ten horns are exclusively ten kings of the Tribulation period who will yield their authority to Antichrist (Daniel 7 & Revelation 17:12-14). The seven heads were past and present kings (Roman emperors) as clearly stated by John in Revelation 17:9-11. Five had already died, and the sixth was currently reigning when John saw the visions of Revelation; one would assume the throne shortly thereafter, but his reign would be brief. (See Eye of Prophecy articles, Exposing Antichrist’s Identity … More Compelling Evidence, Part I & II (March 2017). Because, however, “the whole world marveled at this miracle,” he then realized that it had been a fatal blow. This realization is established when John switches from the word “seemed” to an outright affirmative statement later in Revelation 13. “…He ordered the people to make a great statue of the first beast, who was fatally wounded and then came back to life. (Revelation 13:14). The word seemed sharply suggests that it was a wound, scar-like in appearance, that may have been there for quite some time, as opposed to a fresh wound in which the viewer would have no doubt was recent and fatal…. That’s the analogy I’m making here; the only difference in this example is that these seven men didn’t die, but Antichrist did. Yet Antichrist comes from the Abyss, so his wound is not immediately distinguishable to John as fatal. At the Rapture all believers will see Christ; many scholars and teachers believe that our Lord will still bear the imprints of the nails and spear. So, too, will those “that belong to the world” gaze in wonder upon the miraculously healed 2000-year old wounds of their superstar. If the tribulation world were looking at recent wounds of a modern-day Antichrist, there would be no “seemed wounded beyond recovery” uncertainty, especially with the zoom-in magnification of television and internet technology (Out of the Abyss, pages 208-209). After portraying the Good Shepherd (Messiah Jesus), including the amazing prophecy that the Messiah would be sold (betrayed) for thirty pieces of silver, Zachariah is told by the Lord to depict the worthless shepherd. “Then the Lord said to me, ‘Go again and play the part of a worthless shepherd. This illustrates how I will give this nation (Israel) a shepherd who will not care for those who are dying, nor look after the young, nor heal the injured, nor feed the healthy. Instead, this shepherd will eat the meat of the fattest sheep and tear off their hooves” (Zechariah 11:15-16, parenthesis mine … a graphic depiction of what Nero would do in the 1st century and will resume/intensify even more during the soon-to-come Tribulation). God’s reason for allowing a ruthless counterfeit Messiah to betray and persecute Israel in the end times is a stark reminder that Israel spurned their Messiah two thousand years ago. It will be the only way to fully get Israel’s attention. And it would be the same anti-Messiah that tried to eliminate both Jewish and Gentile Christians soon after the New Covenant began to spread more rapidly throughout the Roman Empire at about the same time Nero became Emperor. “…They will look on me whom they have pierced and mourn for him as for an only son. 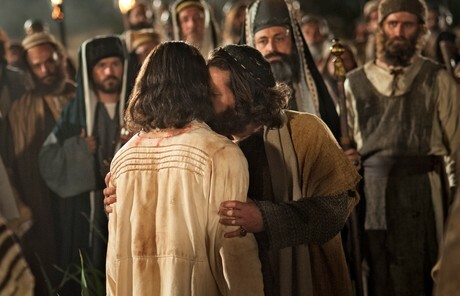 They will grieve bitterly for him as for a firstborn son who has died” (Zechariah 12:10). Zechariah ends Chapter 11 with a powerful preview of what will happen to this worthless shepherd—when he was killed by the divine sovereignty of Jesus, then placed into and subsequently would be released from the Abyss. Repeating that verse cited earlier: “What sorrow awaits this worthless shepherd who abandons the flock! The sword will cut his arm and pierce his right eye. His arm will become useless, and his right eye completely blind” (Zachariah 11:17). Compare that startling prophecy with the return of the Antichrist beast. “And he (the False Prophet) deceives those who dwell on the earth because of the signs which it was given him to perform in the presence of the beast, telling those who dwell on the earth to make an image to the beast who had the wound of the sword and has come to life” (Revelation 13:14, NASB, italics for emphasis, parenthesis mine). The entire globe will see the aftermath of these 2000-year old wounds which rendered Nero’s arm useless and completely blinded his right eye. These wounds were fatal, most likely by a severed artery or two. We do know that a few minutes elapsed from the time Nero and his servant heard the Roman legions approaching and when his servant struck the fatal blow. In fact, Nero was still dying when the soldiers arrived. 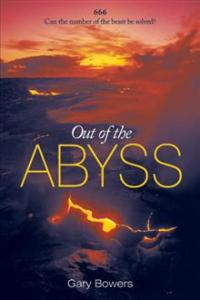 For the grand finale of this extraordinary prophecy that matches the account of Nero’s death by a sword, I’ll defer to a scenario in my book Out of the Abyss. One that I believe accurately portrays what very well could have happened in terms of how the deadly wounds were inflicted. And, in the context of Zechariah’s vivid picture of these injuries, most likely did happen. With the aid of Zechariah Chapter 11, let’s do a little visualizing. Picture, if you will, Nero on his knees, as it’s highly unlikely he would have been standing. In both the ancient world and even the more modern world, those who wanted to end their life with a sword would first kneel to one or both knees. Soldiers of the ancient world used this method, as have the Japanese for centuries. Nero tries to thrust a sword into his neck, but the sound of Roman Legion horses and men distract him. He had already asked his servant to help him… History tells us that the servant also knew that the soldiers would be there any minute. The servant unsheathes his own sword, or he grabs Nero’s sword. The servant, Epaphroditos, raises the sword above his head to ensure a powerful and fatal blow. With all his strength, he thrusts the sword downward. At that very instant, Nero reflexively or instinctively lifts his arm to deflect the strike (Zechariah doesn’t tell us which arm was wounded). The sword partially slices through Nero’s arm and penetrates his right eye. Depending on the angle of the blow and how Nero had knelt, he could have raised either arm. It’s also conceivable that the sword may have struck part of Nero’s neck, where he had just seconds earlier stabbed himself, but not fatally. Whereas Zechariah only gives us two wound locations, there could be another. Or perhaps a wound to the neck might heal enough to show little evidence of scarring. Yet Nero’s hands would not have been tied, as are the hands of people who are being executed by a sword or whose heads are waiting the fall of the guillotine blade … so the victim can’t deliberately or reflexively raise hands and arms to deflect the blow. Zechariah vividly depicts this “worthless shepherd” as a ruthless, but also a pathetic figure. It’s entirely feasible that Nero will be self-conscious of these wounds; though he will make the most of the fact that he died from these wounds, and then returned from the dead. His physical appearance in the tribulation and the historical evidence that Nero was not that great of an orator, explain why the False Prophet will do most of the talking for the beast. The erection of a statue of Antichrist (Nero) will further immortalize him, but I believe also to lessen the need for Nero to appear publicly any more than necessary…. Search the Scriptures. You will not find any direct evidence that the beast is a great orator, statesman, or consummate genius as modern-day views characterize him. He is clever; he is a braggart and a blasphemer, but that doesn’t make him charismatic. Antichrist’s accomplishments and “charisma” are attributed to his miraculous resurrection, the statue, and the persuasive ability of the False Prophet, including, but not limited to “astounding miracles” (Pages 247-249). If even one of these eleven passages didn’t fit with my detailed and documented premise that Nero is the Antichrist, I wouldn’t have written Out of the Abyss. Nor most of the Eye of Prophecy articles in the category of Antichrist. But they all match, even the one in Zechariah. Each passage correlates to some degree with the others and they all fit perfectly to authenticate Nero as the Antichrist. As well as with all the other designations, i.e. little horn, king, ruler, man of lawlessness, beast, and worthless shepherd. Please see Eye of Prophecy trilogy, A Beast by Any Other Name…. (Posted March 2015). Which provides a detailed analysis why Scripture assigns these various titles to Antichrist and the significance of each one. Hint: One of the main reasons is to demonstrate the past, present, and future tense existence of the Antichrist. We’re nearing our final destination. If the sights and sounds of the voyage, or the ship’s Scriptural log haven’t yet influenced you that Revelation 13 & 17’s wisdom or mind of understanding enables any believer of any generation to know the identity of the beast Antichrist, that’s okay. As indicated earlier, when some left behind at the Rapture realize that Nero’s initial revealing and subsequent reappearance had been predicted long ago, they will hopefully, without amazement at this protégé of Satan, accept Jesus as Messiah (Page 249). If you haven’t, please accept Messiah Jesus now as your Savior and Lord. 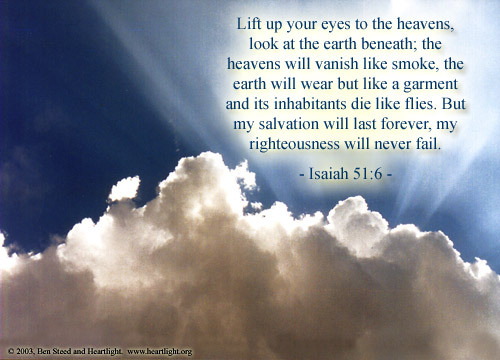 Believe me … better yet believe God’s Word: you don’t want to be left behind at the Rapture. You don’t want to go through any part of the Great Tribulation. It will be the most hellish time on earth ever experienced by humanity. It will make World War II seem like a small skirmish. Said Jesus, Son of God: “For there will be greater anguish than at any time since the world began. And it will never be so great again. In fact, unless that time of calamity is shortened, not a single person will survive. But it will be shortened (to seven years) for the sake of God’s chosen ones (the Jews)” (Matthew 24:21-22, parenthesis mine). And he also said: “For God so loved the world, that he gave His only begotten Son, that whoever believes in Him shall not perish, but have eternal life” (John 3:16, NASB). See Eye of Prophecy article: Shocking Statistics of the Great Tribulation (June 2016). Meet Jesus now as your Savior, not as your Judge. We are living in the final (Omega) generation of the end times. The signs are unmistakable. “And then at last, the sign that the Son of Man is coming will appear in the heavens, and there will be deep mourning among all the peoples of the earth. And they will see the Son of Man coming on the clouds of heaven with power and great glory” (Matthew 24:30). “Amen! Come Lord Jesus!” (Revelation 22:20).